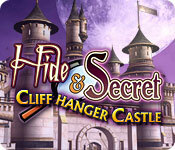 Hide & Secret 2: Cliffhanger Castle is rated 3.2 out of 5 by 5. Rated 5 out of 5 by mspaws from Love the characters in this game This is a very amusing HO game! I have the first one and was so glad there were more as I really enjoying the laughs with the characters! Not the most high tech game, but somethings they are the best games! Rated 4 out of 5 by Zurreen from Not the best, but still good enough. Like the first Hide & Secret game, this one also does not have those rather annoying multiple difficulty levels nor any of those pesky Achievements that serve to only distract us from the main game itself. Unlike the first game, however, this one does have some puzzles. 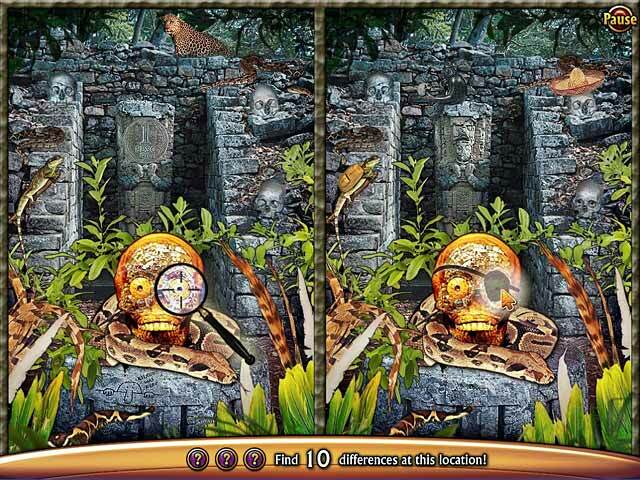 The Find-the-Differences puzzles are fairly easy, but the last puzzle (actually a kind of hidden-object with a "twist") is rather hard. Fortunately, however, the game continues as the hero keeps going up and down as you collect the objects, without your having to restart the level. The main reason this game is not my top favorite, however, is that the hidden objects are way too small, especially in some special scenes where you have to find pieces of a map or some Mayan symbols from a bunch that may not even be actual Mayan symbols. And you get only 2 hints per HO scene, unlike the first game where you got 3. It's not a major problem, however, but you may have to restart the level many times before you succeed in solving these HO scenes. I also don't like old Merlin popping up with a flash, as a random-click penalty, even if you *innocently* click on one too many wrong items by mistake. Finally, the dialog is a bit too long, even though I enjoyed the history "lessons" contained in some of them. In short, I would still recommend this game, even though it does have some - shall we say, annoying? - aspects. Rated 3 out of 5 by Kraanvogel08 from Nice game, but... This is a HOG game which is nice and the scenes where you have to search are quite good. 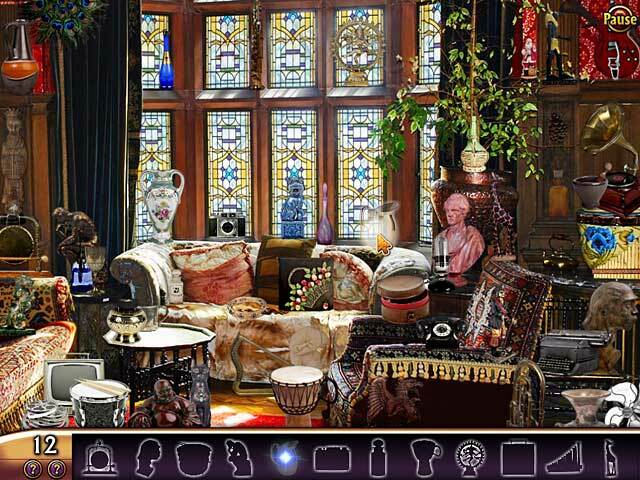 The objects are sometimes quite hard to spot. The conversations can be skipped, which is fortunate because they are quite awful. The big minus for me was the fact that they give you only 2 hints per chapter and there is no way of obtaining more. Therefore this is a no go for me. Rated 3 out of 5 by tabycat52 from Hide&secret2: Cliffhanger Castle I wont play it again i didnt think it was that much fun. Rated 1 out of 5 by BFAurora from Ugh ... dated & poor graphics The graphics were awful ... very dated. Objects were very hard to find due to this. I stopped playing after 15 minutes. I just wasn't enjoying it. 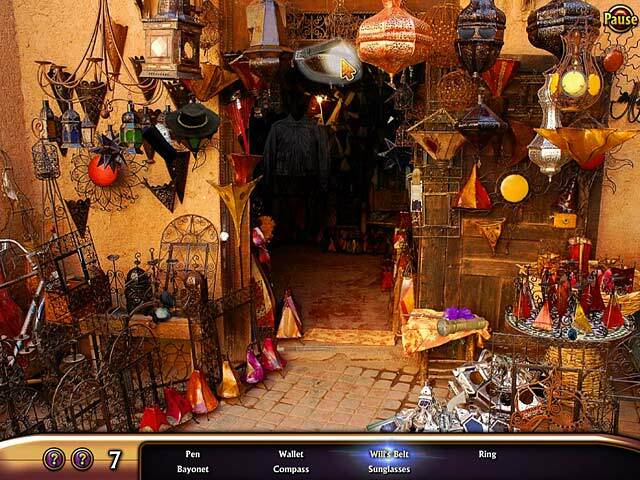 Travel to the secret corners of the globe and uncover intriguing clues in this Hidden Object Adventure game.